While they didn’t earn a No. 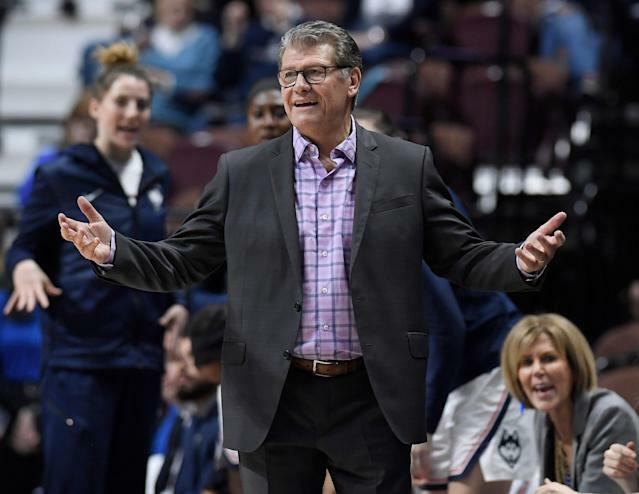 1 seed this season for the first time since 2006, Geno Auriemma and the UConn Huskies have been an unprecedented force in women’s college basketball for years. Naturally, that makes them a tough opponent to face in the NCAA tournament — especially for any team that draws them early on. Yet that will be Felisha Legette-Jack’s task after No. 10 Buffalo knocked off No. 7 Rutgers on Friday in the first round of the tournament in Storrs, Connecticut. Shortly after their upset win, the Buffalo coach was asked about her strategy to take down the perennial powerhouse. In order to accomplish something few have done, Legette-Jack decided to think outside the box. Legette-Jack, like many in the basketball world, has tremendous respect for Auriemma and the program he has built in Connecticut — which has produced six national championships since 2009. Naturally, she was among those upset that his 32-2 Huskies didn’t receive a No. 1 seed in the tournament this year. If they had, she likely wouldn’t be in this problem. While she was obviously joking about the kidnapping, Legette-Jack knows how tough of a task it’ll be to knock off the Huskies on Sunday — a team she fully believes can win the national championship this season. Even though her master plan was foiled, she’s still up to the challenge. “I think that they are a team that’s positioned to win it. But they have to go through Buffalo,” Legette-Jack said.